To Series or Not to Series? Yes sir, too many series and not enough of the stand alone. I swore I’d never write a series. True, I wrote a trilogy. It’s less than four books. You gotta write at least five books before you can call it a series…Don’t quote me on that. That’s just me ranting. And then I got to a-thinkin’ and to a-ponderin’ and the stubborn rebelliousness softened just enough to look at series in a different light. Do you think there are so many series out there because, just perhaps, the readers like them? There’s a demand for them? Do you think readers like them because they get to see the characters deepen and mature? And secondary characters have their own moment to shine in the spotlight? I looked at my personal tastes. True, I don’t read many series, but those I do, I adore, and am quite loyal to. Can we say Dresden Files anyone? I drop everything when there’s a new Jim Butcher out. Plus, look at TV shows. Look at how they’ve changed into continuing storylines from one episode to the next. And how addicted I was to All My Children. And I realized that there were a lot of positives for the series’ author as well as the reader. Worldbuilding, for one thing. I’ve created a world where my characters live. 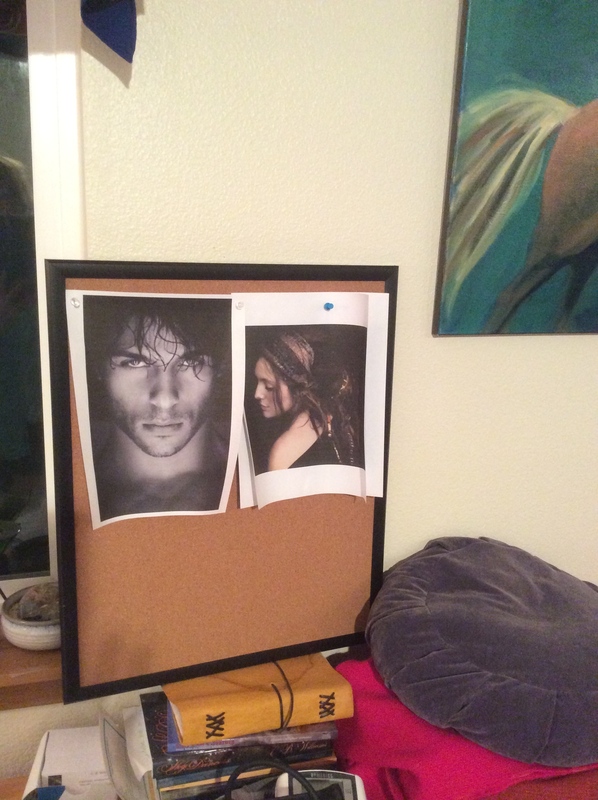 Since I write SFR (Science Fiction Romance ) adventures. I’ve put a lot of thought into each of those worlds because they’re not your “everyday” environment. After all that effort, why not stay there for awhile and focus more on character development? Why not enjoy the characters a little longer? Give my two lovers more thrills and chills? Give the secondaries lots of room to grow as well? Plus, the characters are there to build on. I’ve written them. We know each other, now. We play well together. PLUS, as I pointed out earlier, knowing the characters as well as I do after having written a novel, will make it easier to work with them in forthcoming novels. WHICH…frees me up a little to explore other things I’ve got simmering on the back burner of that stubborn old head. Like…I want to explore multimedia art–combining painting and collage. And I want to make a graphic novel and I want to explore Mt. Rainier Park and I want to fly fish and play with my pups and canoe with Mr. Al. And let’s not forget some traveling. So, there are some perks, here, for both reader and writer when it comes to a series. After the Big Think (I gave you the condensed version of said Think,) I knew I needed a second opinion. She read it and approved. Champion of Entean is now entitled Champion of Entean, Episode 1 of The Entean Saga….or something like that anyway. Got Mr. Al working on a cover theme for a series of books. I’ve got my work cut out for me. This is a scary commitment, here. A series takes years to write. 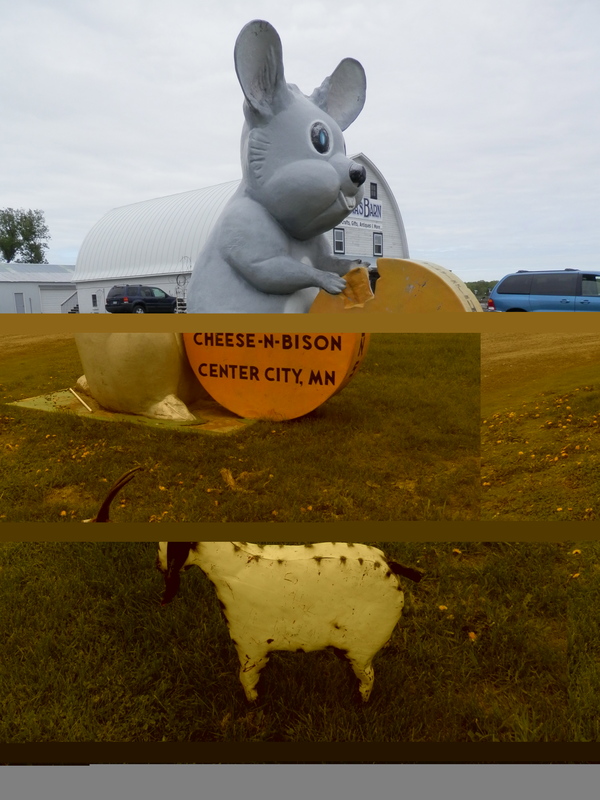 And a picture of Billy-the Goat posing in front of a rather large Minnesotian mouse. Thank you! I’m so sheepishly embarrassed right now. I always get his name mixed up with Gil Brewer, of all people. It’s fixed! Heyyyy,…thanks for the shout-out! Readers are gonna love this series, I just know it.